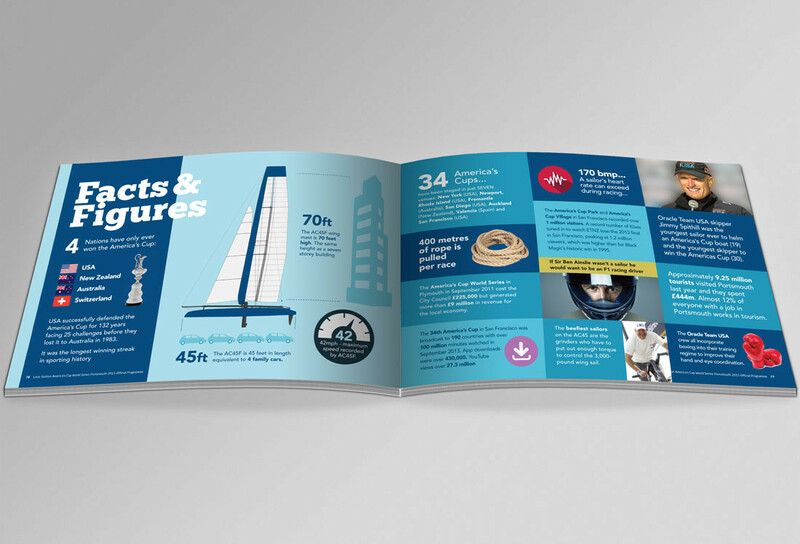 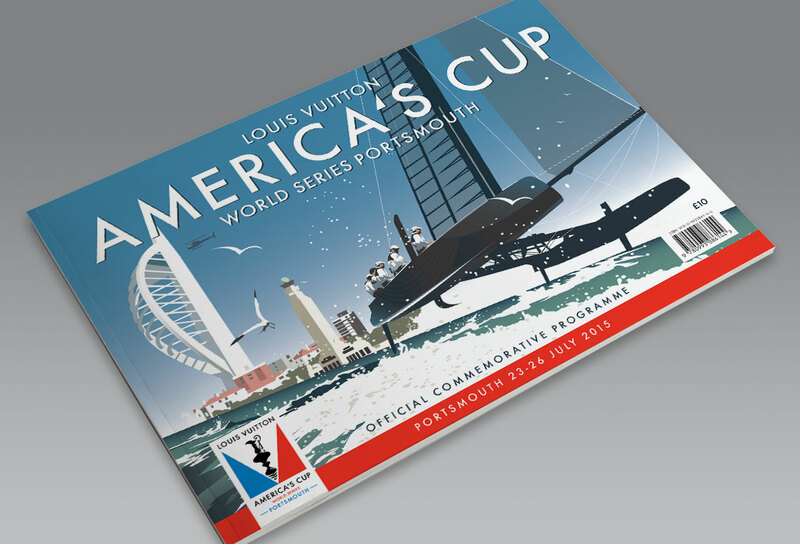 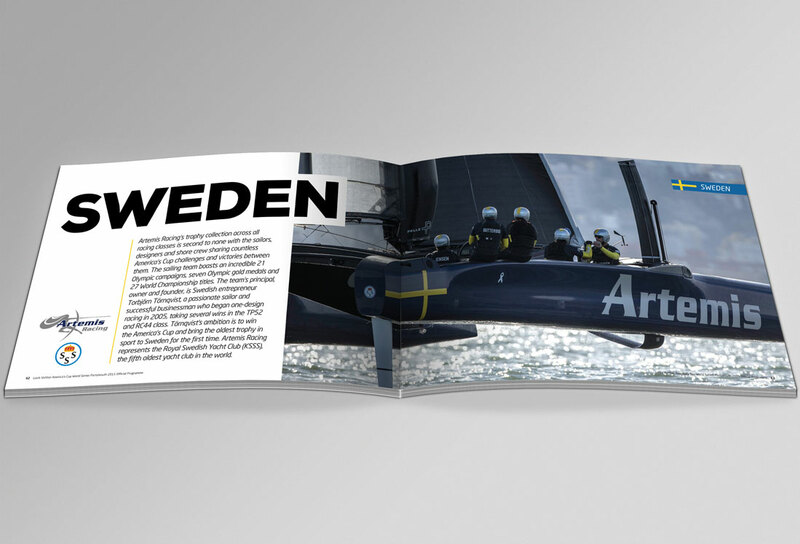 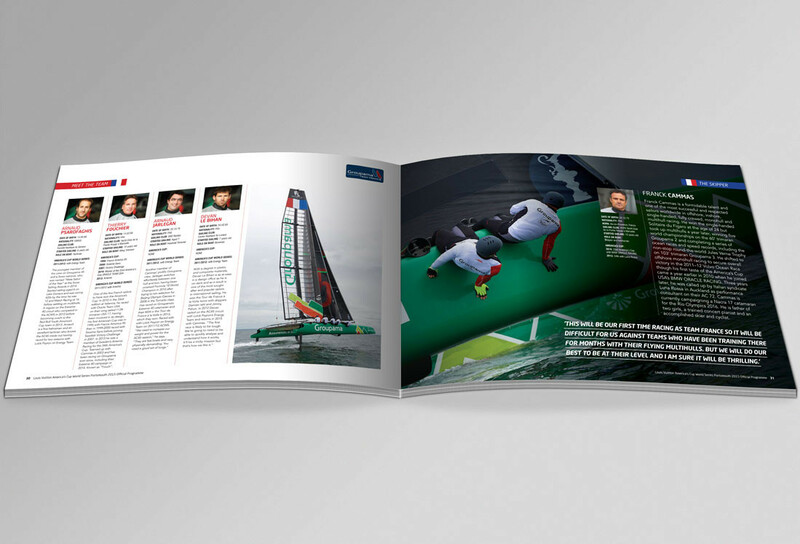 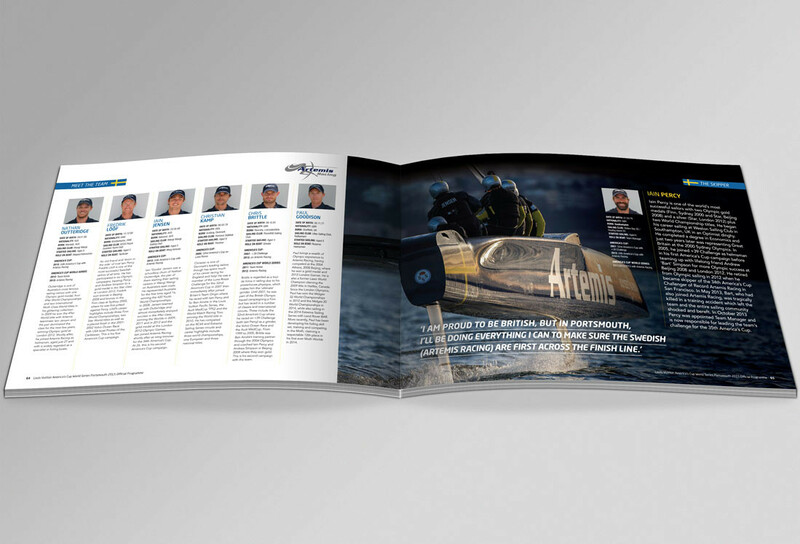 Tobasgo was commissioned to design a world class programme for this truly world class event which brings together the best sailors in the world with the fastest boats on the planet. 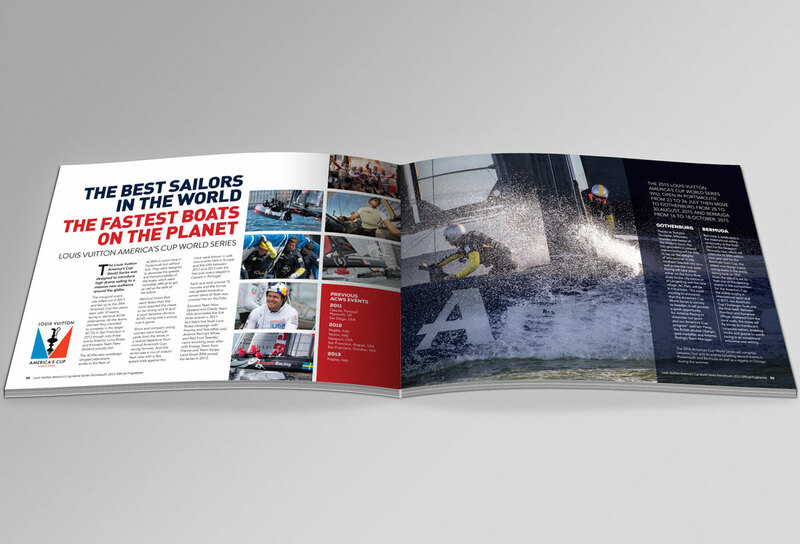 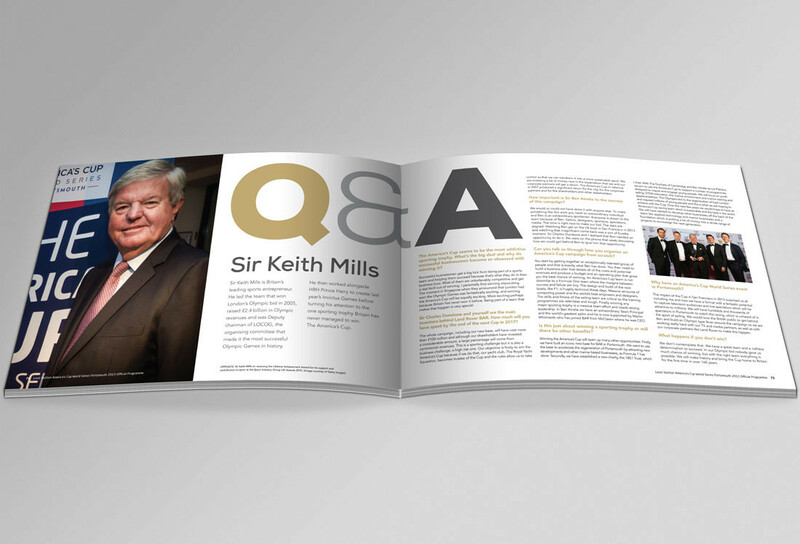 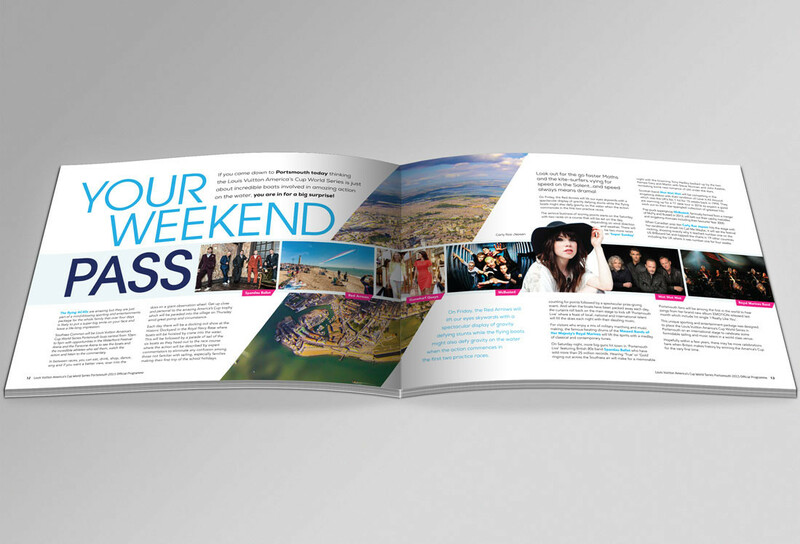 Working closely with publisher ProgrammeMaster, editor Kate Laven and event authority, Team Origin Events, we developed a clear design concept, with bold layouts, typography and imagery, to bring the event to life both on and off the water, and to reflect the key message for British sports fans, and sailing fans alike, that this is the start of the journey to Bring the America’s Cup Home – and that Sir Ben Ainslie is the man to do it! 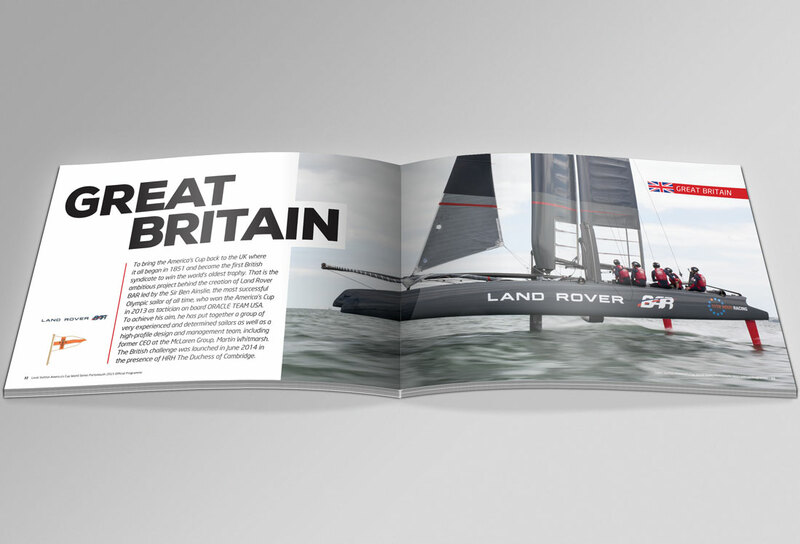 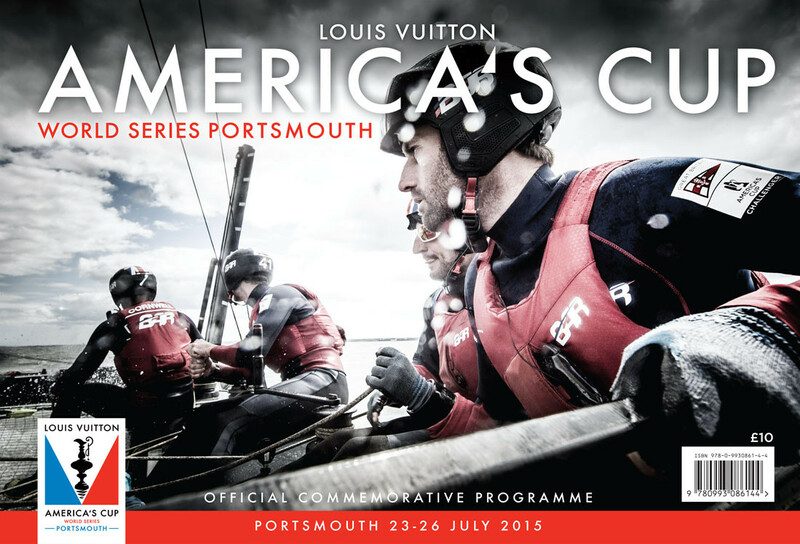 Land Rover’s BAR team won this first in a series of Louis Vuitton America’s Cup World events, and if everything goes to plan, will go on to win the America’s Cup in Bermuda in 2017 – and Britain will be the next host of the most prestigious sailing event in the world.